When you are struggling physically, routine activities like preparing meals, walking from room to room, or keeping up with housework can become overwhelmingly difficult. Having an extra helping hand to assist you can be one of the greatest blessings imaginable. If you’ve experienced the difference a trusted caregiver makes in your ability to live at home independently, then it’s natural to want to share that blessing with friends or family members who may also be struggling. Perhaps you’ve worked with a Cherished Companions caregiver after a surgery or illness, and you want to others to know that quality help is available. If that’s the case, we want to say thank you for recommending us and give you some ways you can help us spread the word! Is Cherished Companions Right For Your Family Member or Friend? There are many kinds of care available based on the needs and abilities of the individual. 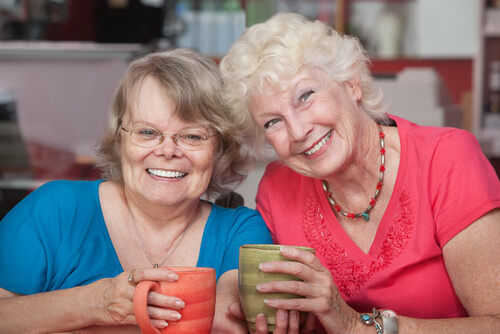 As a home care agency, Cherished Companions offers assistance with the activities of daily living such as help in walking from room to room, caring for the home, bathing, dressing, running errands, and preparing meals. We can also provide personal care and assistance alongside the care offered by medical professionals. For example, if your friend has recently returned home after rehab, she may be seeing a physical therapist several times a week. Cherished Companions can come in to assist with personal care and housekeeping while the physical therapist takes care of her medical needs. Post Rehab Care–We help people transition back to independence after completing a stay in a rehab facility following an illness or surgery. Neuromuscular and Degenerative Disorders–Disorders like Parkinson’s disease, Multiple Sclerosis, or ALS can gradually cause muscles to weaken and limit physical abilities. Cherished Companions can assist with ambulation, fall prevention, daily hygiene, and transportation. Alzheimer’s and Dementia–As memory fades, a person’s ability to handle daily responsibilities may suffer as well. 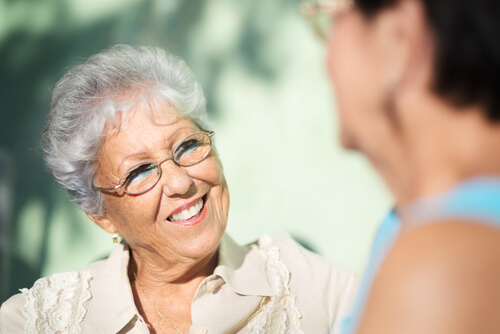 We can help with companionship, medication reminders, wandering prevention, personal care, and safety. Disabilities–Whether the disability is the result of an illness or injury, aging, or genetic condition, Cherished Companions can help people continue daily activities and enjoy the highest possible quality of life. Aging–Related Limitations– As people age, they may have a hard time keeping up with household responsibilities like dishes, laundry, and grocery shopping. Our caregivers can help with these needs and they can also help with physical needs like standing up from a sitting position, taking a shower or bath, getting to the bathroom, dressing, and other activities that become difficult with age. When you notice that a friend or loved one doesn’t participate in activities they used to love or that they can’t care for themselves or the house they way they used to, home care can be a good solution for helping them remain comfortable at home. Talk about your experience. If you have worked with us in the past and enjoyed the service you received, please tell others! Sharing your thoughts and experiences with your family and friends is one of the best ways to let them know how we can help. Contact us online. Your friend can send us a message using the contact form on our website. Share our phone number. We would love to speak with your friend or family member! They can reach us at (440) 484-5390. We will talk with them about their needs and what next steps they should take. Recommend setting up a meeting. The first thing we do when someone contacts us is to set up a meeting at their home, in our office, or in a setting such as a coffee shop or restaurant. There is no charge for this initial meeting, and during the conversation we will talk about their medical history, specific needs, goals for care, and pricing structure. Give us a call. If you would feel more comfortable sharing your friend’s name and phone number with us, we can reach out to them by phone about setting up a meeting. The greatest compliment you could give us is to recommend us to your family and friends. We are honored to know that people have benefitted from our services, and we are always excited to have the opportunity to support others in their goal to maintain their independence at home. Do you have additional questions about how we can help you or a loved one? Please give us a call! We look forward to speaking with you!